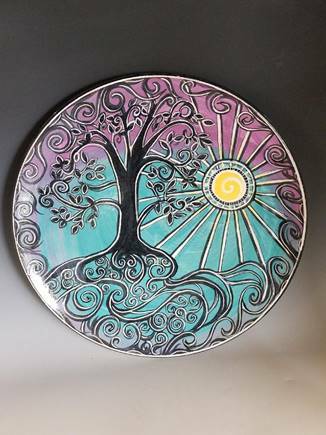 Lydia's love of clay began accidentally when she took a ceramics course "to kill off an elective requirement" toward her painting focused fine arts degree at Seton Hall College in Pennsylvania. 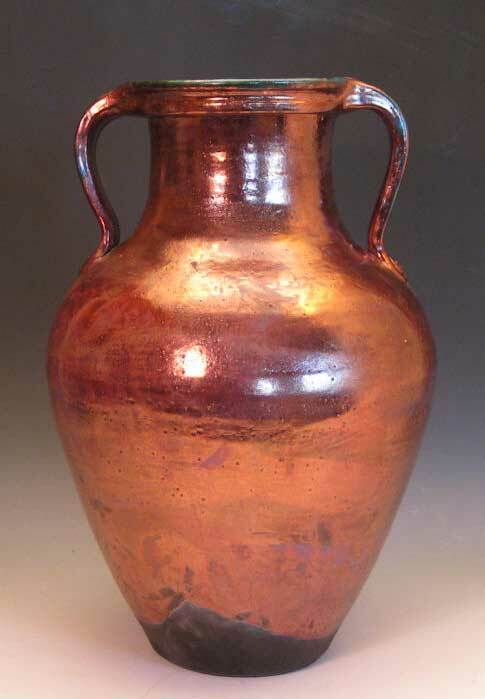 This took place in 1968 and she has not stopped making pottery since then. Lydia grew up in Brooklyn, New York and Watchung, New Jersey. She had always wanted to get out of the crowded East Coast and with excitement moved to Oregon in 1968 after she graduated. 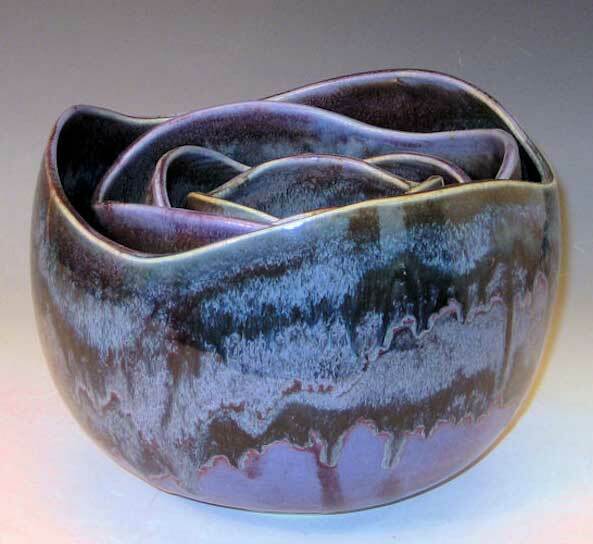 She did graduate work at Portland State University in Art and Education and studied ceramics at Oregon College of Art and Craft in Portland, Oregon. 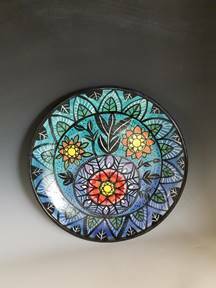 After moving to Oregon Lydia supported herself with a variety of regular jobs and in part and in total ("eating and starving") by her art – pottery and painting. 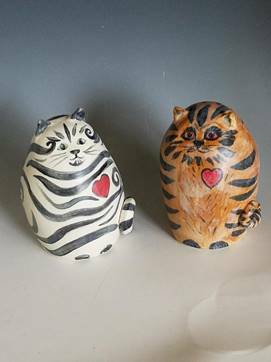 In Portland she was an 'artist in residence' for Do Your Own Art (DOYA) which offered a variety of workshops working with clay. 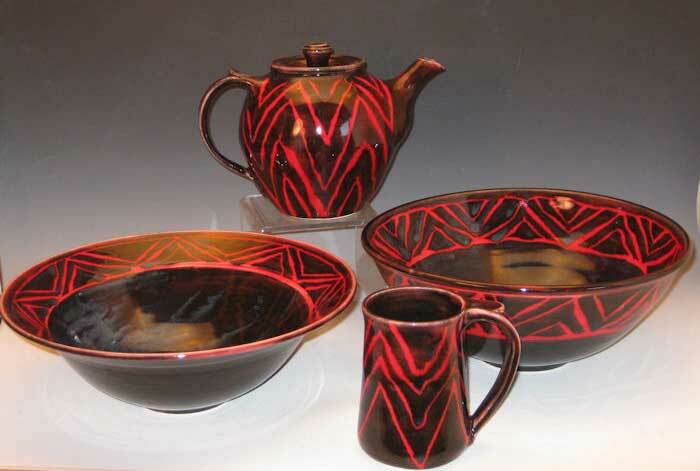 Lydia taught glaze application techniques as well as decorating techniques, wheel throwing, and a Mosaic Table class. 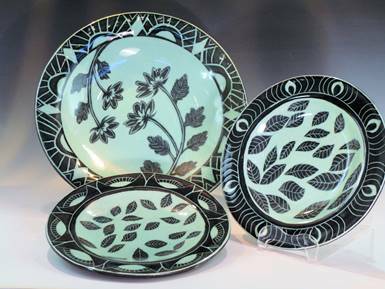 Lydia's pottery ranged from modern dishes to whimsical animal platters to ceramic masks. 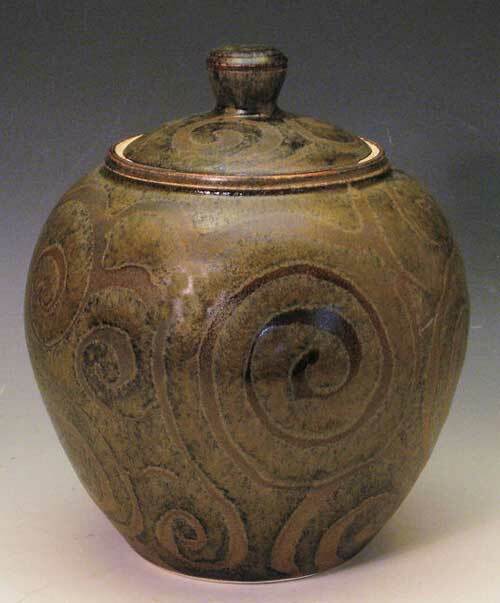 Lydia was a member of the Oregon Potters Association and one of her pieces was featured in the publicity for Ceramic Showcase 1996, their 14th Annual Show and Sale at the Oregon Convention Center. In 1994, she started her own business, Lydia Arts, and hasn't looked back. 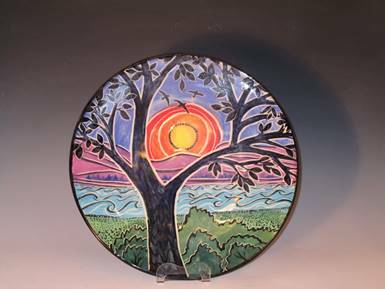 In 1996 she and her husband purchased land on Lopez Island and moved there in 1999, not only because they loved the island but also because of the artistic environment in which she felt she could continue her pottery business. 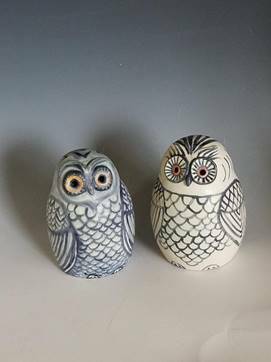 Much of her inspiration comes from observing the natural world. 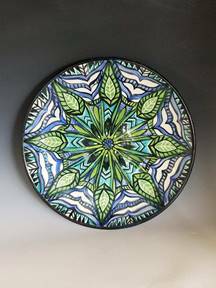 Lydia enjoys making both decorative and functional pottery that can be enjoyed in everyday living. 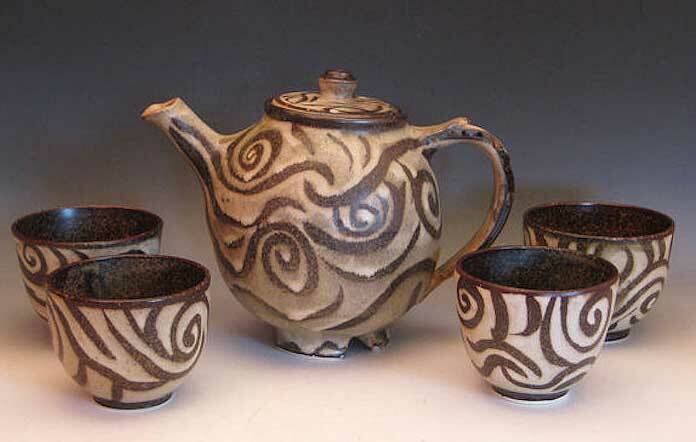 Lydia has her pottery on display at Chimera; at her Studio on 715 Lopez Rd. and summers you will find her at the Lopez Island Farmers' Market every Saturday. She can be contacted on her cell phone at 360-472-0590 or email lydiaarts@lilym.net.